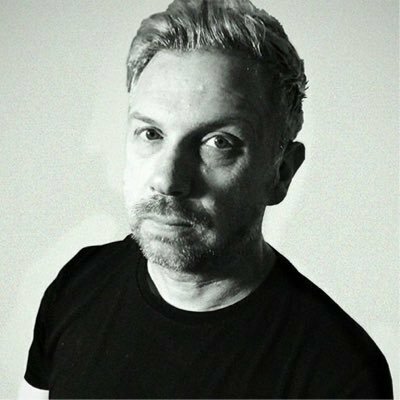 With almost thirty years in the UK's dance music scene, Ian Bland a.k.a Blandy has an incredible wealth of knowledge in all things music and production. Blandy, who now owns Maison Records which releases House and Prog House bangers, is here to take you through the production of a huge Tribal/Tech House track in this superb course that spans almost four hours. Beginning with the sound design, Blandy comprehensively describes the creation of the drums, bass, percussion, vocals, synth parts and exciting stabs and sweeps. Next, Blandy discusses his approach to setting out the track with a detailed section on arrangement. In the final section of the course, Blandy demonstrates his detailed and effective mixing and mastering style and compares the completed track to commercial examples. The course is available immediately after purchase and comes complete with the Live project and 100MB of bonus samples, courtesy of Loopmasters. To learn more about the course and Blandy's high-energy teaching style, check out the trailer and sample modules now! In the first module, Blandy introduces the course and discusses the completed track. In module 2, Blandy starts designing the drum parts, beginning with the kick drum, clap sounds and hi-hat. In the next module, Blandy continues by adding percussion loops and applying processing to fit the different parts together before using his drum fx secret weapons! In module 4, Blandy starts on the bass, using resampling and MIDI to create a driving bassline to underpin the track. A stalwart of house and techno, Roland 909 drum sounds can be heard on countless records. In this module, Blandy adds some 909 percussion samples and then processes them to fill out the track. In this module, Blandy adds some glitchy vocal parts which add excitement to the track. He processes them and applies FX to fit them in the mix. In Module 7, Blandy introduces a free third party synth, then gives a walkthrough of its features. He then creates a fat synth line and applies processing and FX. In the second synths module, Blandy designs more synth parts, building up different riffs and stabs, before working on the breakdown. In the next module, Blandy begins to add stabs and sweeps to the track, creating a rich and exciting texture. He builds up additional layers and processes them to sit together. In Module 10, Blandy begins the arrangement. He starts by tidying up the project and then starts work on the intro. Using automation, he sculpts the initial section of the track, building the excitement into the first break. In the second arrangement module, Blandy continues to construct the track, progressing the melodic themes that are introduced at the start of the track. He sets out the sections of the track in bars and then adds fills and vocal parts in a methodical manner. In Module 12, Blandy creates the breakdown and describes how a breakdown in a tech house track differs to EDM style breakdowns. He changes the texture then adds filters and other processing and keeps the energy high throughout. In this module, Blandy completes the arrangement, building a middle section, mini-breakdown, additional variations and an outro. He adds new elements, automation and maintains the high energy feel. In the penultimate module, Blandy walks you through his mixdown process. He describes the tools that he uses on all of his tracks and discusses his mixing workflow, tips and tricks. In the conclusion to the course, Blandy describes his mastering process and the workflow he's refined over decades in production. He compares the track to commercial releases and demonstrates how to tweak the Ableton stock parameters to great effect.